perch. 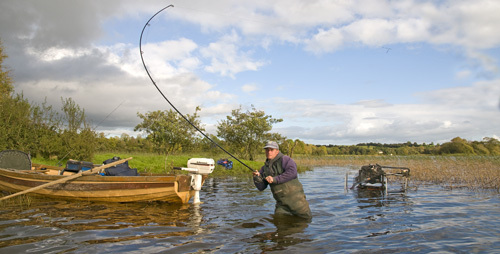 The closest lakes are Ardan, Inishmuck and Drumlane, while Bakersbridge (where bream to 9lb have been caught) it typical of the of the River Erne. Steve is a keen angler provides first-time guests with a tour of the best local fisheries and can advise on baits and methods. He can collect bait that has been pre-ordered from Irish Bait & Tackle and there are bait fridges, tackle sheds and a drying room. Many of the lakes in this area have easy access.